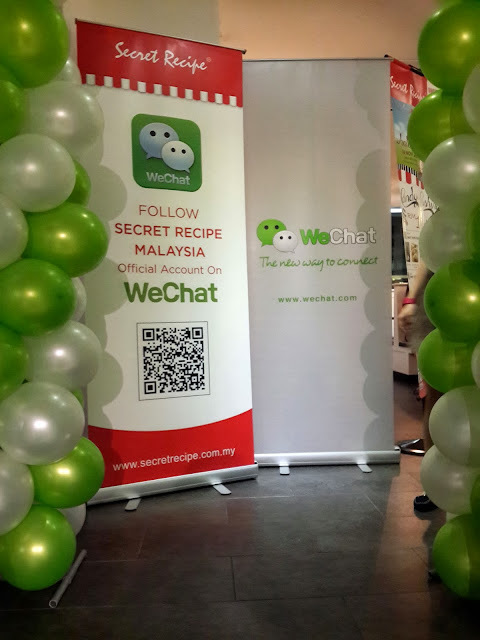 WeChat & Secret Recipe held an event last friday at The Secret Recipe outlet in Oasis to celebrate their latest partnership as well as their 16th Annivesary. 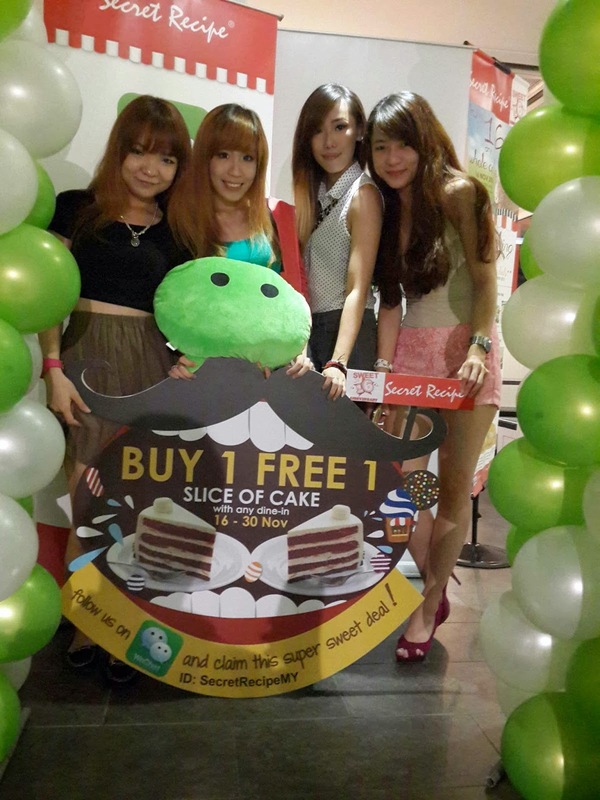 Yeeing, Angeline, Sandy and Ashley posing with the 'tache signage, silly girls 'taches goes on faces not crotches. 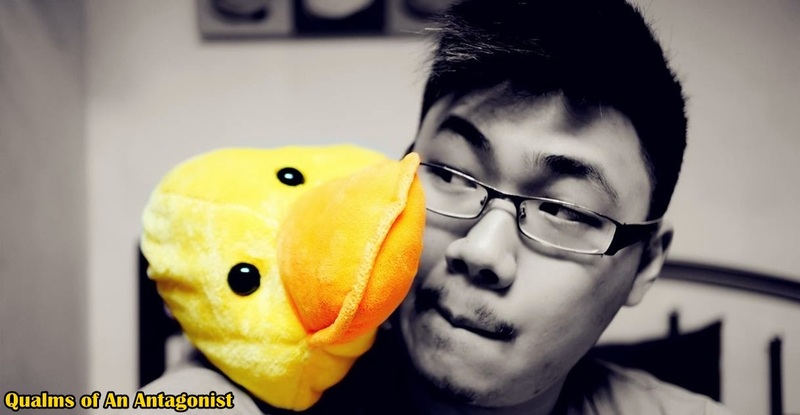 Me and Simon showing how it's done. 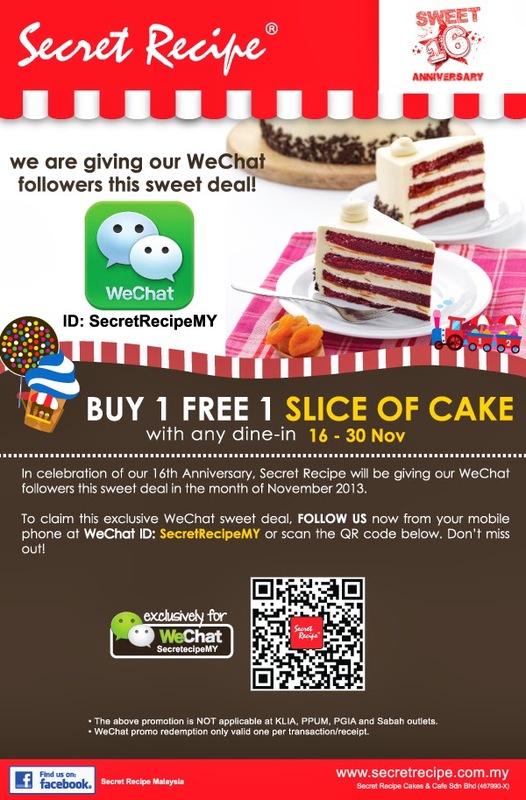 Be quick and don't miss out on this promotion as it goes on only up till the end of November! 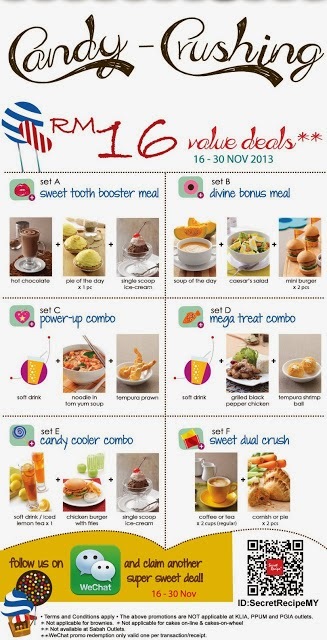 In addition to the buy 1 free 1 promotion, Secret Recipe also offers selection of set meals at only RM16! 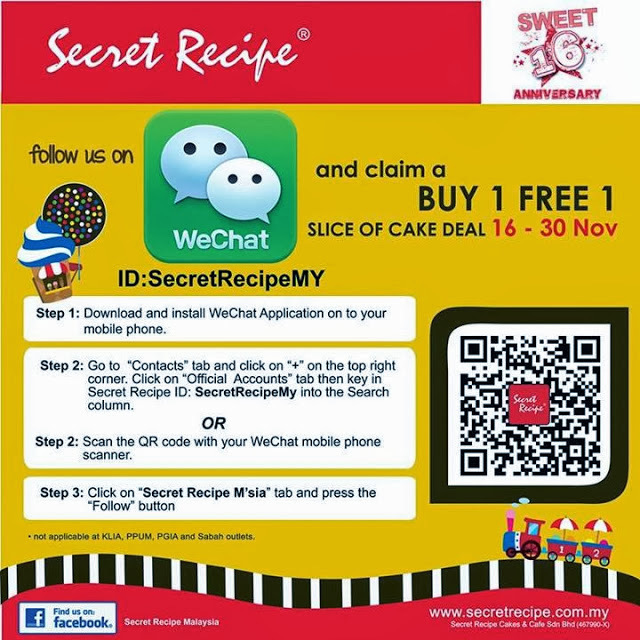 Just follow SecretRecipeMY on WeChat for more awesome promotions just like above! 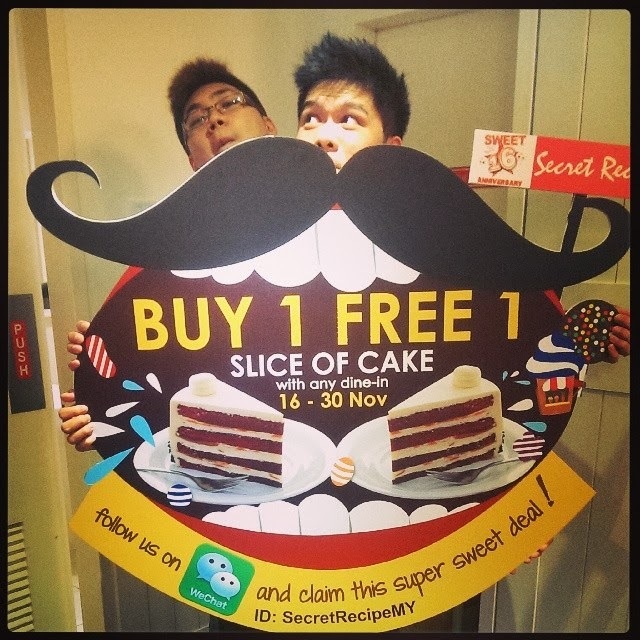 Remember the promotion is only up till the end of November from today onwards!